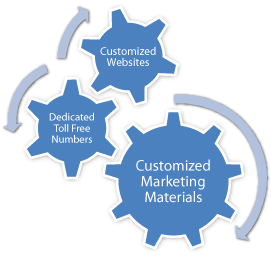 With our simple tools, we offer Agents many ways to signup new customers and promote our products. Once you sign up as an Agent, you will receive an email with a unique Agent Promotion Code and your own TEL3 website URL. This Agent Promotion code will allow you to start marketing and earning money. With this Platform, agents will have access to many websites templates that can be customized with your own Promotion Code and toll free number. Agents may request one dedicated Toll Free number, which will be dynamically shown on their customized websites as well. Agents will have access to banners, country landing pages, and flyer designs in their back office.